Champagne is usually a stand-alone beverage. People mostly drink it as an aperitif, or for a toast, or at 3am in a hotel room. 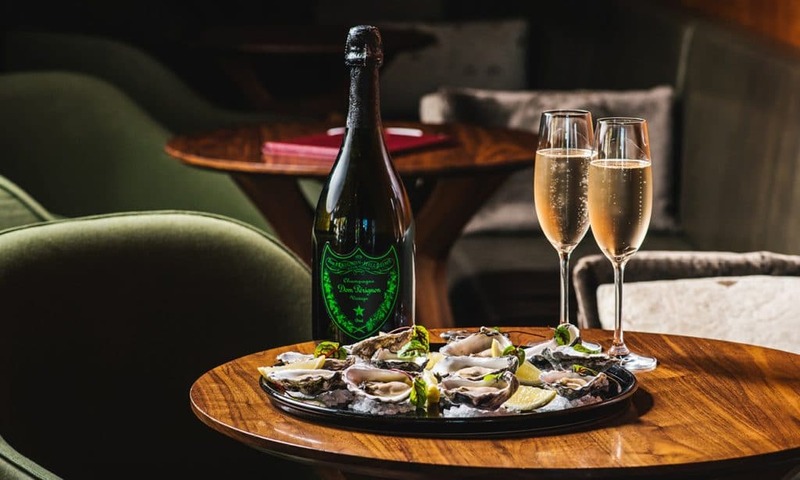 There is a big range of style and complexity with Champagne that means it is well suited for lots of food types, even though it doesn’t often get considered. Have a look at our pairings below, and you’ll be convinced that you could pair a five-course dinner with Champagne alone. 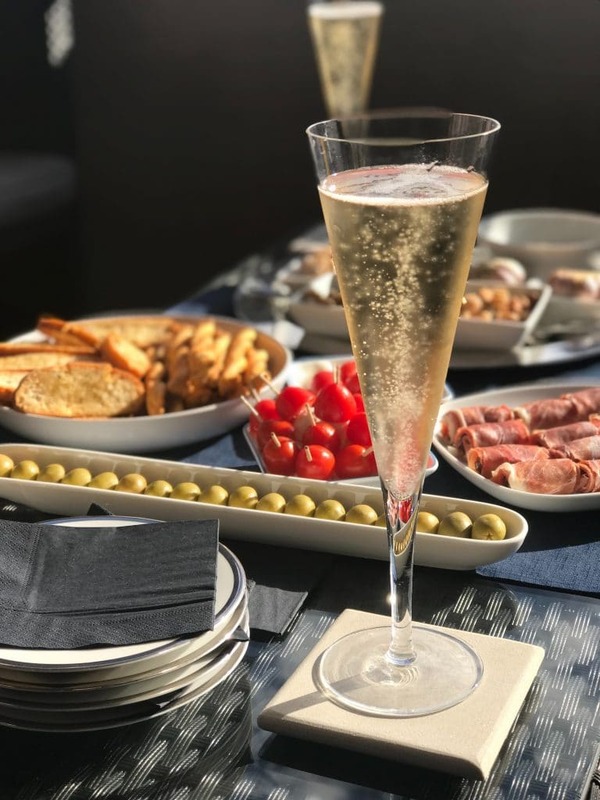 With crisp flavours and racy acidity, NV Champagne is a perfect aperitif – crisps, oysters, olives, crudités, what-have-you. That freshness and palate-priming acid also works beautifully with fattier foods like croquettes, sashimi, charcuterie as well as plenty of lighter, greens-heavy main dishes. The perfect pairing with yeasty, lees-aged champagne is a big hunk of unadorned parmigiano reggiano. Don’t stop there, though – go raclette, mac n cheese, gnocchi with burnt sage butter, vegemite and cheese scrolls – there’s probably really no wrong kind of cheese or baked item that would pair badly. For starters, roast beetroot and smoked salmon share a double pairing with the hue of rosé Champagne. In essence, rosé champagne pairs with nearly everything, from cheese to shellfish, salads and pizza, beef and chicken, stews and roasts, fruit and even chocolate. You often pay a premium for rosé but the added versatility is worth it. Vintage champagne is usually about 8-10 years old when it is released, and most can go for a few more decades. By definition, they are made with the best grapes from a better-than-average year, meaning the intensity and complexity of flavours is increased. With age the bready, yeasty flavours and savouriness develop further. This combination of flavours, freshness and acidity means great vintage champagne is incredibly versatile. Think duck, pork and even beef steak. Champagne usually has a good amount of sugar for balance, but the wines that range from Sec to Demi-Sec to Doux have sweetness as a feature. These wines work with fresh vegetables and salads but really have a home with your favourite desserts. Fresh cream, strawberries and kiwifruit are great pairings, so pannacotta and pavlova are absolutely spot on desserts with sweet champagne. 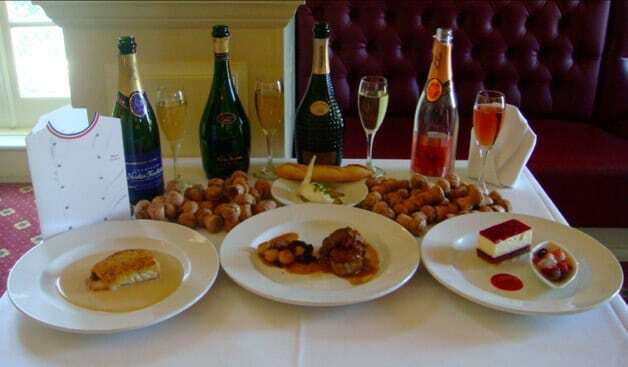 Read our article about the correct glassware for Champagne or more about food and wine matching here.